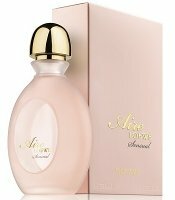 Spanish luxury brand Loewe will launch Aire Loewe Sensual, a new 'fresh, light and delicate' flanker to 1985's Aire Loewe fragrance for women. The notes include lemon, orange, green apple, jasmine, lily of the valley, freesia, musk and amber. Loewe Aire Loewe Sensual will be available in 75, 100 and 125 ml Eau de Toilette.